Sainsbury’s has some advice for you. 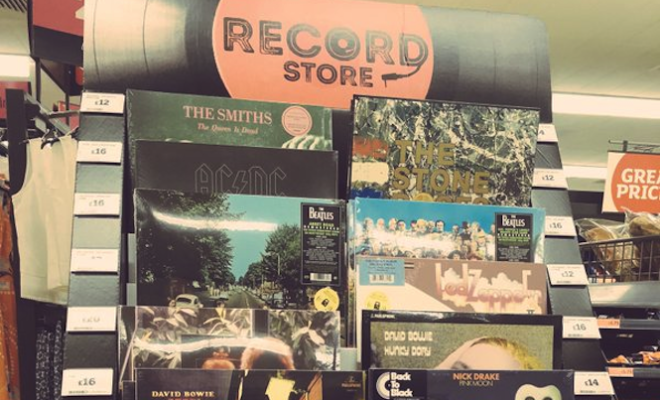 Following Tesco and Aldi in becoming the latest supermarket chain to stock records, Sainsbury’s has defended its decision to enter the vinyl game. Evidently wary of how an expanded selection may have a detrimental effect on independent retailers, he said: “We’re fully aware that this is a sensitive issue and clearly mindful of the potential criticisms but we genuinely believe that all retail channels can and will continue to co-exist.” With 20 titles now stocked in 171 of its stores, Sainsbury’s has, somewhat inexplicably, become the UK’s largest single vinyl retailer. Read next: Supermarkets selling vinyl could be a good thing. Here’s why.